Legends of Sleepy Hollow, designed by Matt Riddle and Ben Pinchback, and published by Greater Than Games, is going to be rather tricky for me to discuss for two reasons. First, the preview copy I was sent only had the first chapter of the game in it, and second, because even with only the first chapter, there are spoilers, as the game has a very strong narrative element that runs through its eight chapters. These limitations are also why I am only giving my initial thoughts, as opposed to a full review. As for my specific experience, I played the first chapter twice, first at the full player count of four, and the second time solo. That all said, let’s start with what’s in the box -- without any spoilers -- and then I’ll get into the specifics of gameplay. While the version I played was a preview copy, and did not have finished components, the artwork -- which was done by a team that includes Hugo award-winning artist Abigail Larson -- was, by itself, enough to draw me into the world of the supernatural fable. And while Washington Irving’s source material never makes clear that anything supernatural was at play, I won’t be spoiling anything to say this board game adaptation comes with ten pumpkin-headed Gobkin monsters, as well as ten evil ent-like Schrikroots, making it clear that this imagining of the source material has more at play than a suitors’ quarrel. I’d like to digress a moment to say how happy I am this game decided to use the Dutch folklore found in the Sleepy Hollow mythos, and is not yet another game revolving around Cthulhu or zombie theming. Legends of Sleepy Hollow is played on a series of maps, with the first chapter taking place in the schoolhouse where Ichabod Crane taught. There are four unique characters in the game, and players will always play all of them, regardless of player count. This makes sense, as each character has a very specific skill set, with strengths and weaknesses that tie into it. There is sturdy undertaker Jeremiah, armed only with his shovel, calming minister Elijah, wielding his faith and a staff, nimble ace hunter Emily, armed with her bow, and finally, battle-hardened war veteran Matthias, pistol at the ready. Before starting the scenario, some flavor text is read aloud, setting the scene and the goals of the scenario. In the case of the first chapter, the four heroes are looking for two journals they believe will provide clues to Ichabod’s whereabouts, and will need to find them and bring them to the teacher’s desk to progress the story. Of course, this is more difficult than it sounds, for two reasons. First, there are twelve tokens that need to be investigated and only two will reveal the journals. Second, the schoolhouse is already populated with both Gobkins and Schrikroots, and more will spawn as you search the area. The gameplay is very straightforward. In fact, the rule book -- at least in its preview copy form -- is only three pages long, and allowed us to jump right into playing the game. A character’s turn consists of both an action and a movement, taken in any order. Once each character takes their turn, the environment gets its turn, with the monsters moving, attacking, and spawning. The intimate scope of the game keeps this from being too fiddly. Even when I played solo, I was able to control all four characters and the environment without any issues or confusion. Each player has standard actions they can always take -- attack, rest, and interact with the environment -- as well as a few special actions which can only be taken once each before refreshing. One interesting mechanism featured in the game is the fear system. When characters are attacked, they not only lose health, they gain fear tokens. Acquiring these tokens is not only a potential loss condition, but each fear token also becomes an action token, meaning characters cannot refresh their actions -- and use their more powerful special actions -- until they use or cull their fear tokens from their action token pool. When I played with four players, the exploration of the schoolhouse felt similar to a traditional dungeon crawl, with each player becoming one of the characters. While, due to the openness of information, this created the potential for “quarterbacking,” the non-deterministic combat and the narrative pull of the game made it feel less like a puzzle one player needed to solve, and more like a difficult situation everyone needed to survive together. When I played solo, however, the game felt like a turn-based tactical video game, such as Final Fantasy Tactics or Fire Emblem, where I was the tactician, in control of the actions of all of the heroes. Despite controlling multiple characters, playing Legends of Sleepy Hollow solo gave me a similar feeling that I had playing Arkham Horror: The Card Game, and I feel it will likely appeal to those that play AH:CG solo for its story-driven, exploratory horror experience. In both plays, the game was difficult. In the first, we lost before retrieving both journals. In the second game, my solo run, I only “won” as I used the easier rule set, allowing for a character’s revival if they lose all their health. I don’t bring this up as a negative, although, of course, your mileage may vary, but as a selling point, as the difficulty of the game kept me on the edge of my seat for each token reveal and dice roll, and my decisions really mattered. Legends of Sleepy Hollow, even in its first chapter, held some narrative surprises and the beginning threads of an overarching mystery. I won’t spoil them here, even with a spoiler tag, as I feel the storytelling element is one of the most compelling reasons to play this game, and I wouldn’t want to ruin those moments from anyone else that is yet to experience them. That said, one very minor potential spoiler I feel compelled to mention is that after successfully completing the first chapter, I was told to open an envelope that had a postlude to the chapter. It also had a number of upgrade cards for each character, allowing for character growth before continuing on to the second chapter -- however, players are instructed to choose only one upgrade for each character, making them make difficult choices regarding which aspects they should boost, tailoring them to their individual play styles. Or would this be initial final thoughts? Either way, based on what I have seen and played of Legends of Sleepy Hollow so far, I can say I’m in love with its art style, its commitment to a unique and underused mythology rooted in Dutch folklore and superstition, its storytelling elements and arc, and its streamlined gameplay -- with tough choices based on a set of easy to learn and manage mechanisms. The biggest compliment I can likely give it is my high level of frustration at having to wait so long to continue chapter two in my own search to find Ichabod Crane. The Legends of Sleepy Hollow Kickstarter campaign can be found here, and is running until November 10. Full disclosure: I received a preview copy of Legends of Sleepy Hollow from the publisher, Greater than Games. 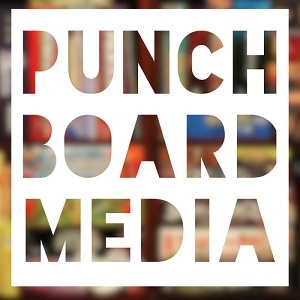 Chris Kirkman, Game Development Manager at Greater than Games, is a member of Punchboard Media as a co-host of The State of Games podcast.